Rachel Sparkman # 51, Loves Park, IL posted an outstanding race as she made claim to the American Short Tracker 25-lap feature. 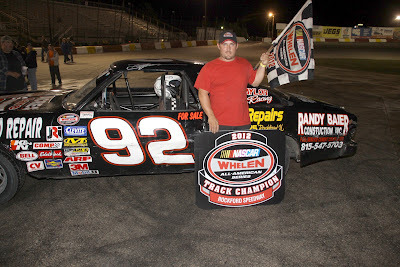 Bobby Frisch # 92 Beloit, Wisconsin Rockford Speedway's 2012 Rock Star RoadRunner Champion. 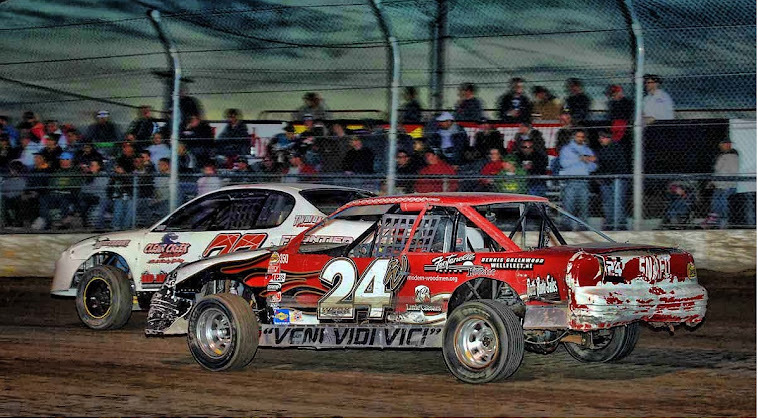 Scott Lawver # 12 Roscoe, IL recorded feature victory #102 for the Bargain Hunters Sportsman 25-lap feature. 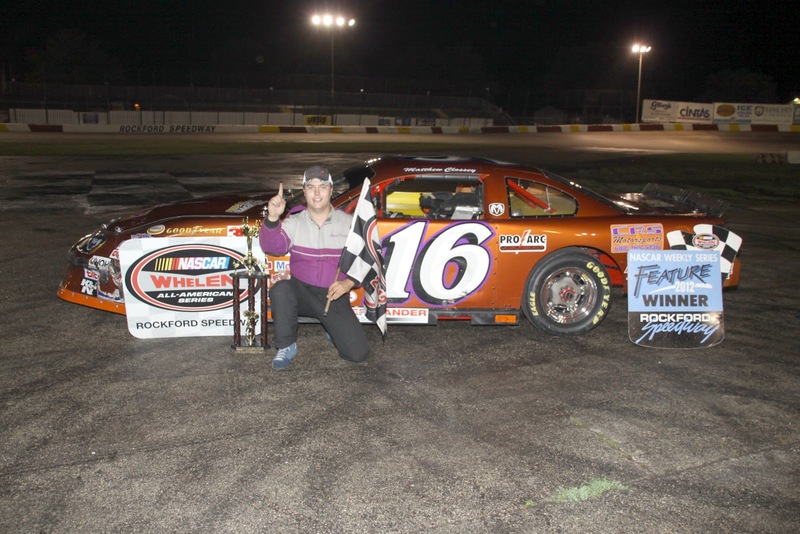 Matt Clossey # 16 Beloit, Wi, outraced his competitors to make claim to his first feature win in NASCAR Stanley Steemer Late Models. 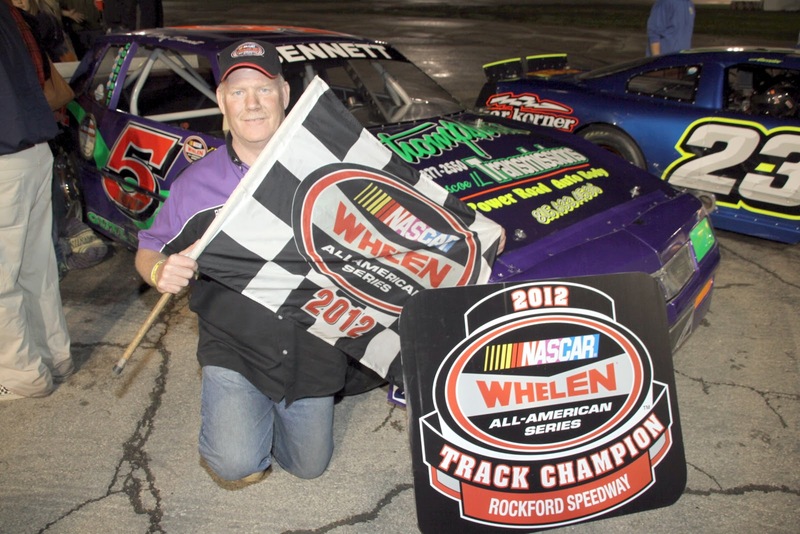 Howie Ware, # 36 South Beloit, IL was back in victory lane once again as he posted another feature win for the RockStar Energy Drink RoadRunners. Doug Bennett, # 5, Brodhead, Wi. 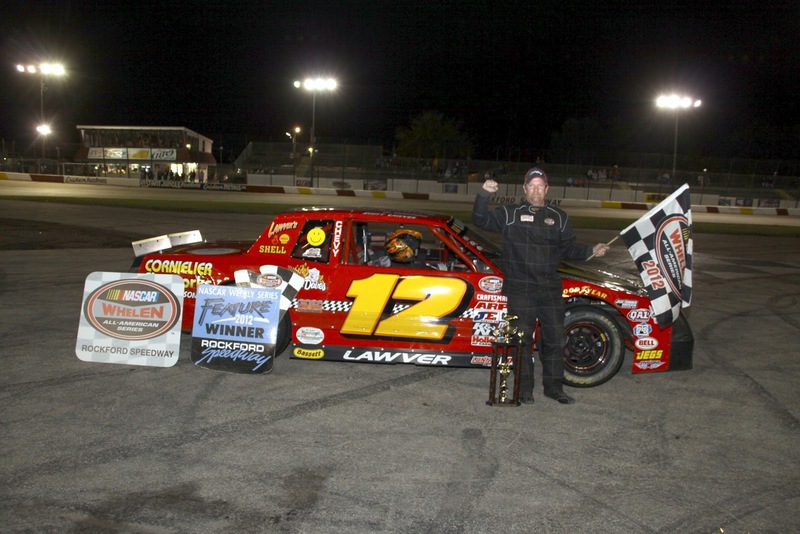 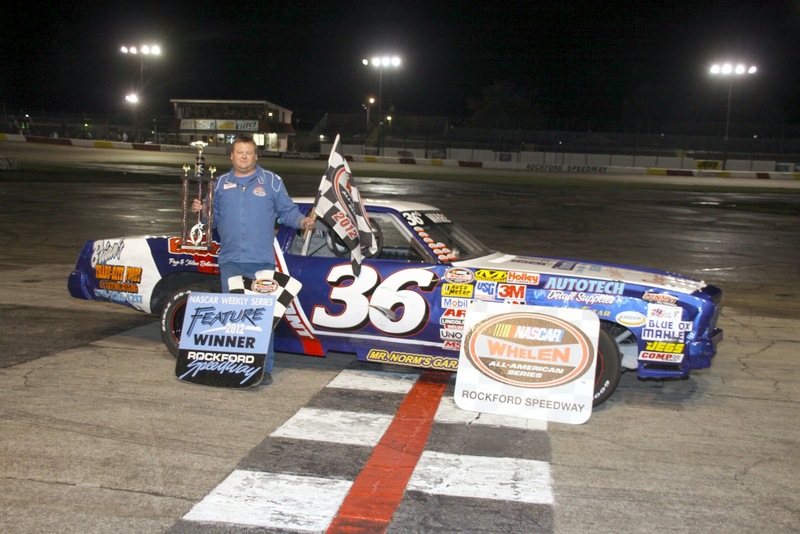 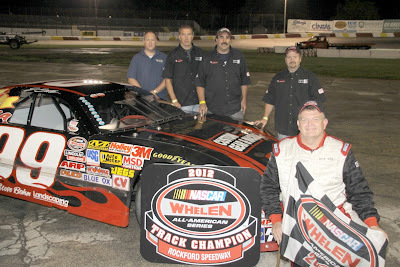 claimed his second Sportsman Track Championship in 2012. 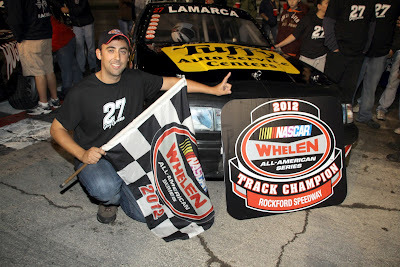 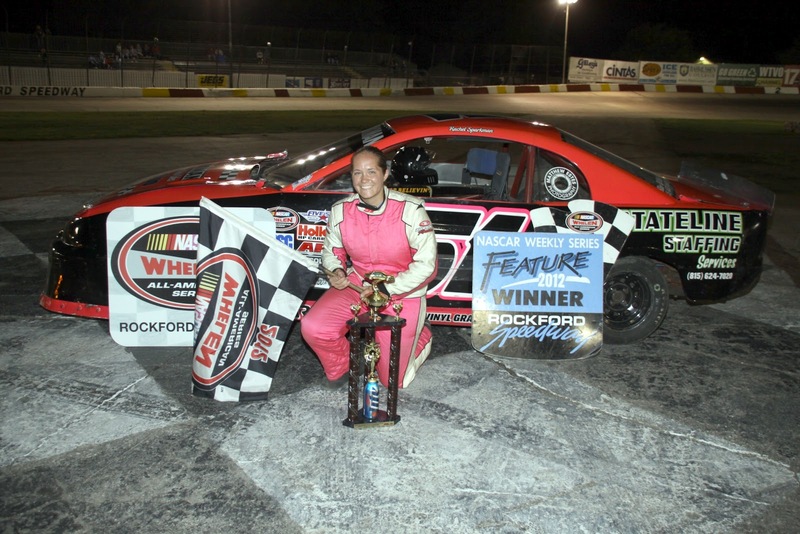 Joe LaMarca, # 27 Rockford, IL registered his first championship for the Miller Lite American Short Trackers for 2012. 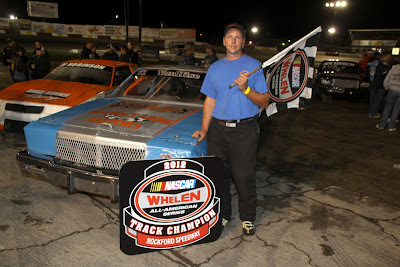 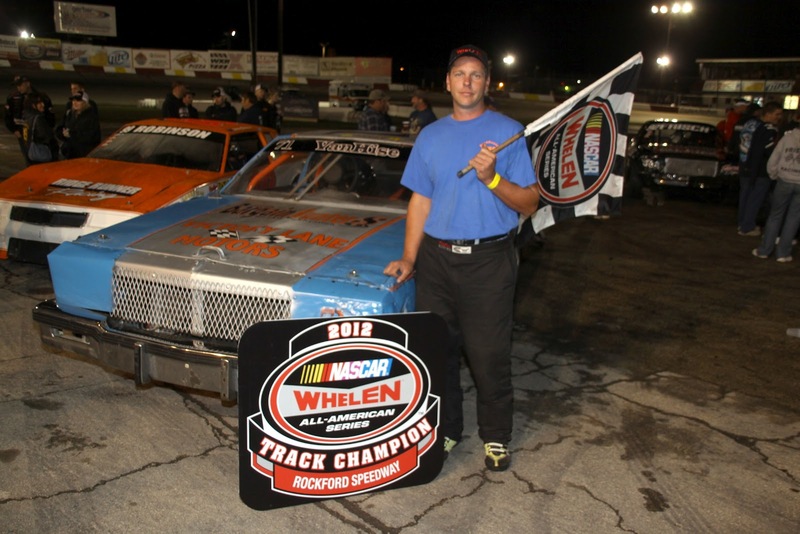 Jason Van Hise # 71 Loves Park, IL is the 2012 RoadRunner Challenge Champion.